Swimming alongside Olympic hopefuls, Melanie Nocher, Sycerika McMahon and Karl Burdis, Castlebar's Nicholas Quinn was one of the 15-strong Irish swim team who claimed victory over Scotland and Wales in the recent Celtic Tri-Nations competition at the National Aquatic Centre. The event was incorporated into the Dave McCullagh Memorial Meet, making it a very prestigious three-day competition, with swimmers from all over the country hoping for the all-important qualifying times for varying levels of competition. It also marked the final Irish event where competitors could qualify for this year's Olympic Games in London. Nicholas Quinn came away with a silver in the 100m breast stroke, with a time of 1:05.15, and bronze in the 200m breast stroke with a time of 2:23.08. He also swam in the 50m breast and in the 200 IM. Representing Castlebar Swimming Club, Sinead Mylett gained a personal best in the 400 IM, with an impressive time of 5:25.29. She also swam in the 50m, 100m & 200m freestyle and in the 100m fly and the 200 IM. For Killian Dervan, the 200m free brought a personal best of 1.09 with a time of 2:10.46. He gained two more PBs in the 50m breast stroke (with a time of 35.62) and the 200m IM, and also swam the 200m breast stroke. Sara English swam the 800m freestyle in 10:16.24 and the 50m breast stroke in 36.95. She also swam the 400m freestyle. 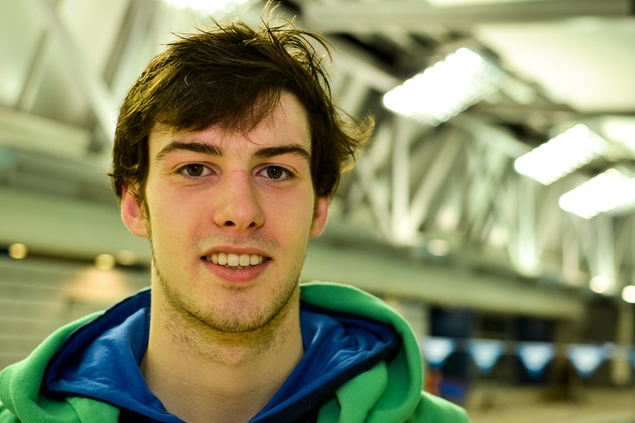 Also swimming for Castlebar, in the 50m and 200m breaststroke and the 200m IM, was Patrick Livingstone. The previous weekend, on Sunday, 22 April 2012, twenty of the squad swimmers from Castlebar travelled to Athlone Regional Sports Centre, and there were a number of personal bests on the day. Niamh Heneghan got PBs in the 100m fly and the 100m breast stroke; Paula McDonagh got her PBs in the 100m fly and the Division 1 qualifying time she had been aiming for in the 100m freestyle, with a time of 1:09.41. Mark Dervan and Jamie Murphy improved on their 100m fly time by over five seconds each, with Sean O'Connor getting a 4.92 second PB in the 100m backstroke. Siofra McHale got PBs in all four of her strokes on the day, and her Division 2 qualifying time in the 100m freestyle. Niamh Breslin improved on her 100m backstroke by over three seconds, to finish in a time of 1:28.24, and Laura Fahy came third in the 100m backstroke, achieving a time of 1:17.60 and Castlebar's first trophy of the day. Patrick Livingstone also achieved four personal bests on the day, doing particularly well in the 100m backstroke and the 100m breaststroke, with improvements of 2.30 and 1.19 respectively. Edel Egan continued her impressive track record with fine swims all around, particularly in the 100m free where she swam a personal best of 1:07.19 to take first place, and the 100m breaststroke which saw her improve her time by 2.66 to take second place. 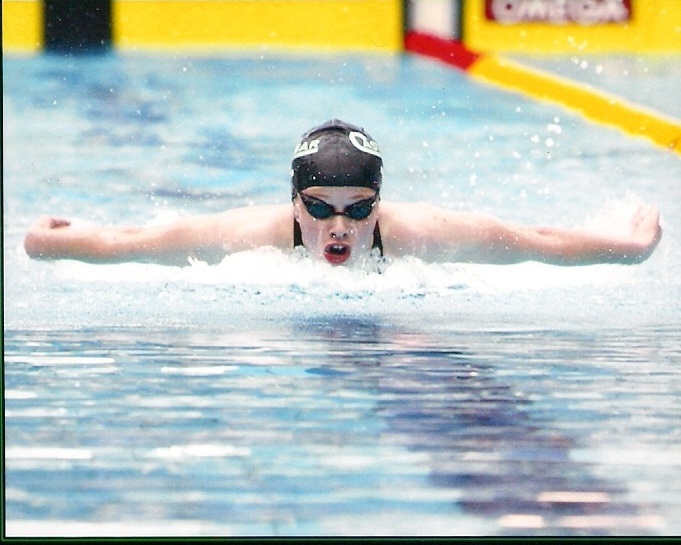 Aoibheann Hennigan came away with three PBs in the 100m backstroke, the 100m breaststroke and the 100m freestyle. Siofra Horan gained a 7.33 PB in the 100m backstroke, while Meaghan Coen, Nicola Connelly, Una Togher also improved their times in this event, finishing on 1:22.98, 1:25.73 and 1:25.92 respectively. There were more PBs for Nathan Rennick in the 100m backstroke, breaststroke and freestyle, for Jamie Murphy in the 100m backstroke, for Ronan Dervan in the 100m fly and the 100m backstroke, and for Caoimhe Hennigan, Niamh Breslin, Laura Fahy and Una Togher in the 100m breaststroke. Sean O'Connor improved his 100m breaststroke by almost 12 seconds, and Mark Dervan got a 2.64 PB in the same stroke. Also swimming for Castlebar were Ambre Fadden and Conor Melly. Meanwhile, over the Easter break, three of the senior squad swimmers travelled to the UK for the City of Norwich Easter Long Course Meet, a three-day competition which featured swimmers from all over the world, from as far afield as Dubai. They formed part of a 25-strong team from the Connacht Swim Squad who represented Ireland at the Norwich meet. Sinead Mylette had a strong few days of competition, swimming in eight events, and taking home a gold (50m freestyle), a silver (100m freestyle) and two bronzes (200m freestyle and 50m butterfly). Eoghan Grady and Cillian Melly swam in six events each, with Cillian concentrating mainly on the fly events, along with the 200 freestyle, 200 backstroke and 200 IM, and Eoghan swimming in four freestyle events and two backstroke. It was a challenging few days of competition, but a great opportunity for the swimmers to experience an overseas competition in a long course 50 metre pool as opposed to the 25 metre they would be more used to.